Allegedly discovered by Achilles, yarrow is used for its nutritional benefits to the tissues of the body, the mucous membranes, and the digestive system. 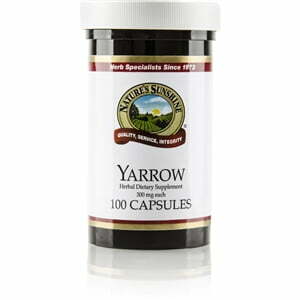 Related to chamomile, yarrow is a rich source of the alkaloid principle achillein, flavonoids, volatile oils, potassium, calcium salts, and tannin. Its astringent properties are especially beneficial for the body’s tissues. 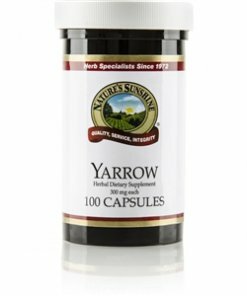 Nature’s Sunshine Yarrow comes in 300 mg capsules.